People with disabilities had waited over 20 years following the passage of the ADA to gain access into swimming pools and spas at hotels/motels, water parks, etc. 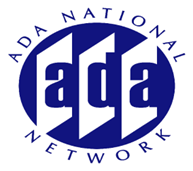 With the adoption of the 2010 ADA Standards they celebrated the fact that there were finally technical standards for accessible entry and exit to newly constructed and existing swimming pools, wading pools, and spas. However, after concerns were raised by the hotel/motel industry regarding the short timeframe for compliance the U.S. Department took action that extended the compliance date for the provisions related to existing swimming pools, wading pools and spas (pools built before March 15, 2012) until January 31, 2013. Now that this date is finally here the question remains as to whether or not everyone understands what is required and who is required to comply. Join this session as we review what those requirements are and what is required for both Title II and Title III entities.